Netbooks are affordable, small form factor laptops that sit somewhere between tablet PCs and true laptops in terms of specification and ease of use. A few years ago, netbooks attracted a lot of media attention after several supermarkets ran special offers, selling linux-powered netbooks at a £100 price point. Sadly, many users regretted these purchases and returned the netbooks when they discovered that they were under-powered and unable to run their favorite Windows applications. There are Windows netbooks available at a slightly higher price point and those netbooks can be useful for some people. Let's take a look at the pros and cons of these miniature laptops. The main selling point of the netbook is the size and the cost. They are far smaller and lighter than the average laptop. If you do not want to lug around a full-sized desktop replacement, then a netbook is a good option. However, if you need the computing power of a PC then you should probably try to get cash for your Netbook here and upgrade to a traditional laptop. For people who just want to surf Facebook and do some light document editing, however, a netbook is a great buy. Even the lowest spec netbook can run Microsoft Office and a web browser. 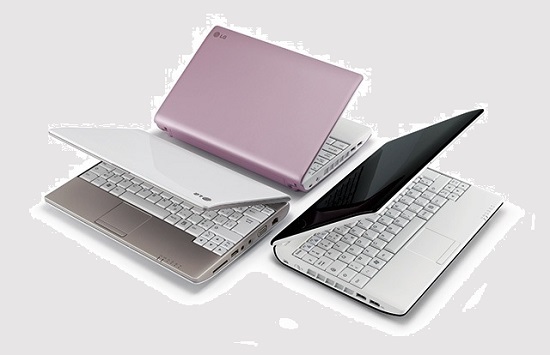 Some netbooks are also powerful enough to play casual games, making them a good choice for children and younger teens. The battery life of modern netbooks is frequently superior to that of fully-fledged gaming laptops. If you regularly work on the road then this could be a big selling point. What's not to like about a sub 3lb netbook with a six-cell battery that offers seven hours of unplugged usage, or a 1.4lb netbook with a slightly shorter battery life? For many people, the small size of netbooks is a big problem. If you have poor eyesight, reading an 8.9" screen can be difficult and if you have big hands then typing on a netbook keyboard might be awkward. The low specification of netbooks can be an issue for some. Many models have unusual screen resolutions such as 1024x600, which makes using applications and websites designed for desktop displays a frustrating experience. In addition, it means that you cannot watch HD video in full resolution, although even if the display were suitable, the slow processor would probably cause playback problems anyway. Another issue with netbooks and the more modern ultrabook, is that they lack DVD or Blu-Ray drives. This means that you are stuck with using USB memory sticks or a wireless network to transfer files, unless you are willing to buy an external drive. Traditional laptops may be bigger and heavier, but they are far higher spec, are more likely to have full-sized keyboards, network ports and a DVD or Blu-Ray drive. If you're going to use your chosen portable computer for more than a couple of hours per day, having something that is equivalent to a desktop replacement might be a better choice.